Dimitrios (ATHENS, Greece) on 26 June 2008 in Architecture. 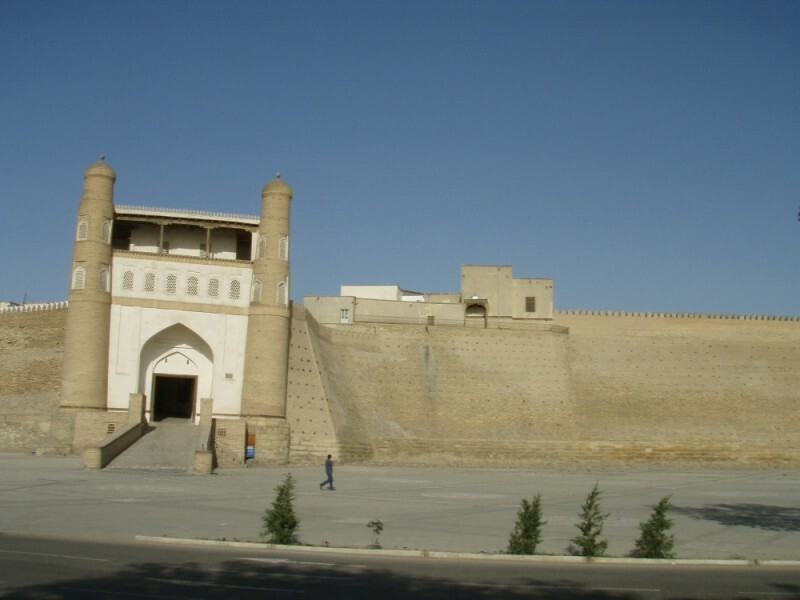 The wall protecting the ancient city of Buhara in Uzbekistan. Most interesting and a great photo. Is the gate tilted or is that an illusion? Great shot and a huge building! That's one impressive wall, I should imagine it would have been difficult to breach these walls. Η λυπημένη φάτσα αφορά τις φωτιές και οχι τη φωτό! Δυστυχώς! Wonderful. Like your style. Your images are alive! @valenttin: thanks a lot for your kind comment, regards from Athens to Navodari. An impressive image, Dimitrios. When you replied to a comment above, saying it's tilted, do you mean only in the photo, or are you referring to the actual structure? Bonica imatge!! Bona gamma de tons! !